Communities in Interior Alaska face many challenges to sustainability. 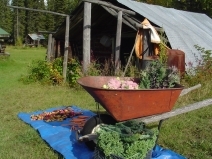 This participatory action research investigates how place-based education concerning local food systems can help meet some of these challenges. 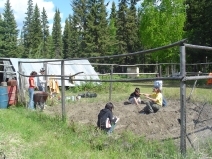 The collaborative design of gardening curriculum at the Effie Kokrine Charter School in Fairbanks, Alaska serves as a demonstration project for similar educational initiatives and also illuminates components of pedagogy for sustainability emerging around the globe.